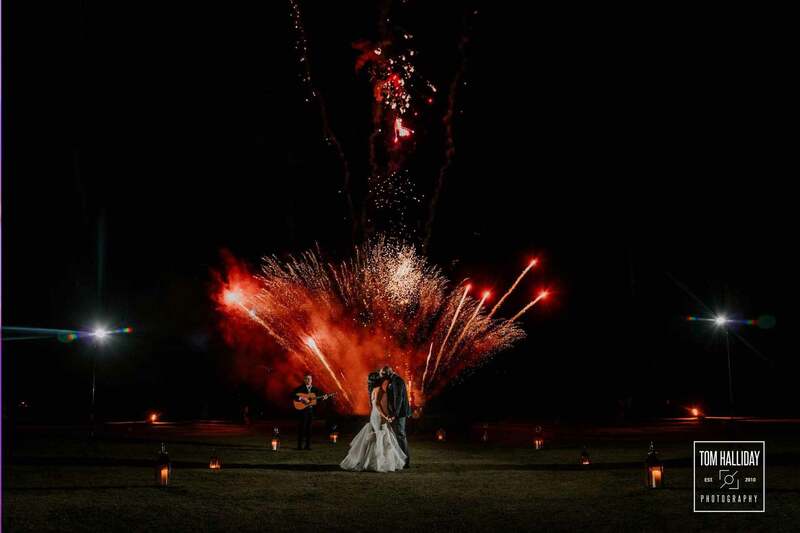 Your wedding ceremony is an event that you will remember for the rest of your life. Whether it is held in a church or in a licensed venue for civil ceremonies, it is a very special service filled with friends and family. Music is always an important part of the wedding ceremony. Traditionally, there is a piece of music when the bride enters the room, two pieces of music during the signing of the register, and a final piece when the newly-married couple exit the room together for the first time. Though traditional bridal marches are popular, there is an increasing trend to have more contemporary music as part of the ceremony, and live singing can be especially effective, and heightens the emotion. Many times I have seen a groom overcome with emotion when hearing his or his partner’s favourite track played live while she walks down the aisle. 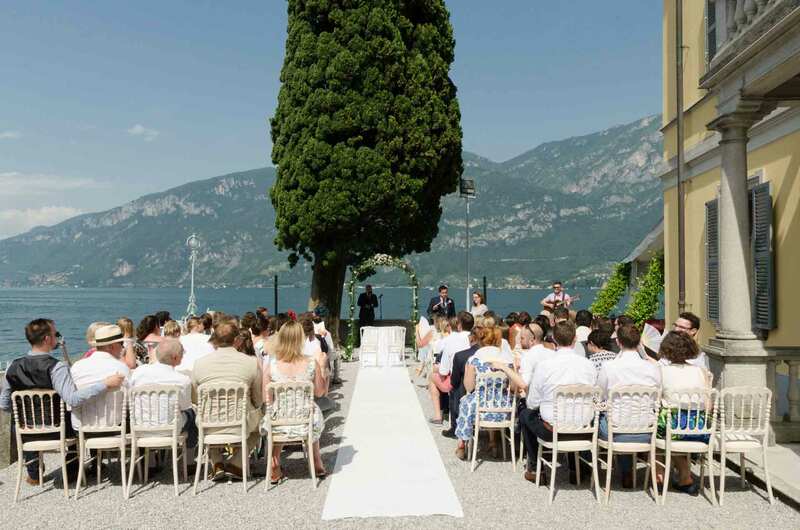 Ceremony songs are very personal and having it performed live adds a unique touch. Once the ceremony has concluded, guests will be invited to enjoy a drink and perhaps some canapés while the newly-married couple have photos taken. The afternoon drinks reception will often take place outside, and many wedding parties will brave the British weather come what may! Photographers will also organise large group shots during this time. Afternoon drinks provide guests with the perfect opportunity to catch up with friends and relatives, many of whom may have travelled a very long way to attend the wedding. Live music can work very well during this part of the day as it creates the right ambience and sets the tone for the day. Guests can request their favourite musical artist too. After the drinks reception, guests will make their way into the banqueting hall for the start of the wedding breakfast. It is more traditional for speeches to take place at the end of the meal, but couples are frequently choosing to have their speeches at the start. It certainly helps a nervous groom or best man to enjoy their meals more! When performing during the wedding breakfast, I can play an upbeat tune as the couple are announced into the room. I then follow this with a set during the starters and mains, take a short break, then return to play during desserts and coffee. 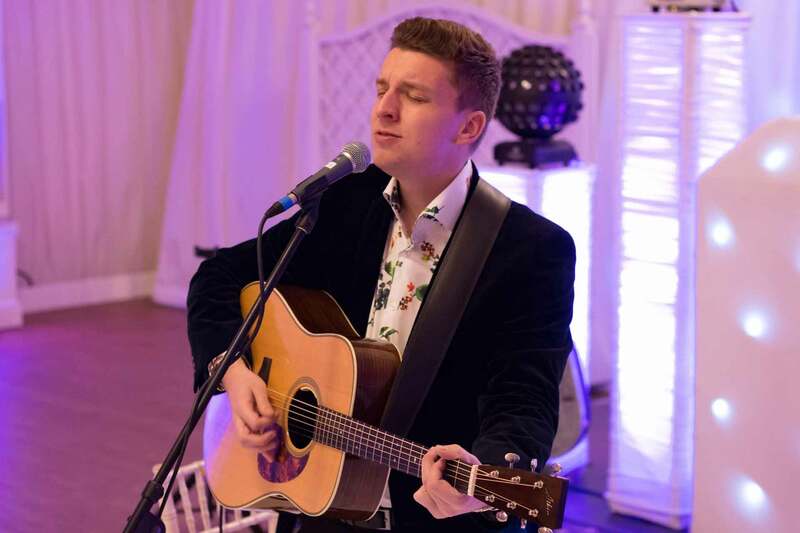 The wedding breakfast is a great option to have live music for; guests have settled down into a nice captive audience and I often take many requests. Although weddings can be very formal occasions, guests also like to get the party and dancing started as soon as possible – I can help with this! As well as very chilled out wedding breakfasts, I have played at some very lively ones with dancing guests, creating the right atmosphere during this part of the day. Some venues will host the meal and the evening disco/party in separate rooms or parts of the building. However, a large number of venues will host both the wedding breakfast and the evening disco in the same room. This means that staff will need to rearrange or ‘turn round’ the room, so that guests will congregate in a separate part of the building and enjoy another drink during this time. This is also the hour when guests with an evening invite will arrive. Live music is a good option during the turnaround because there will be some guests who have just arrived and have not heard any of the entertainment so far. But it also helps to have live music at this time as it occupies guests and provides a great atmosphere before heading back in for the cutting of the cake, first dance and the rest of the night. It can provide a welcome distraction from guests wondering ‘when are we heading back in’? The turnaround can be filled with livelier songs as guests are now well and truly in the party spirit. Once again, requests can be made on the spot. Every couple has songs that are very special to them, and many save the most special song of all to be their first dance. Though there are trends for popular first dance choices, there have been some very unique suggestions too. As well as John Legend, Ed Sheeran and Christina Perri, I have played Oasis and even Chaka Khan as a first dance. A popular option is to take a classic dance or club song and convert it to acoustic guitar and voice. This is a very unique arrangement specially tailored for the bride and groom. Whatever the song may be, I will put my own stamp on it. Though it is not as common, in the past I have played sets in between the DJ, playing lively and upbeat songs to get the crowd dancing. Some couples like the DJ to take over for the whole night, but switching between the DJ and live music can be a good option in order to mix up the entertainment and keep it interesting for guests. I have worked with a number of excellent DJs and sometimes plug into their speakers in order to transition seamlessly between my sets and theirs.